I had the good fortune to find myself in Nelson, New Zealand, at Christmas. Nelson has a warm spot in my heart for so many reasons. My family lives close by, I got married to a wonderful Aussie there, and I’m pretty sure my forefathers landed there back in the 1800’s on a tiny island called Haulashore (why, oh why, can I not find Aunty Mary’s family history book, at such a time?!). Of more general appeal, is the fact that Nelson is New Zealand’s sunniest town in the Marlborough region, lush with great wine, people, golden beaches and turquoise waters sparkling with luminescent dolphins. As I wandered about looking for a view that summed up the fabulousness of the place, I fell upon the Centre of New Zealand. 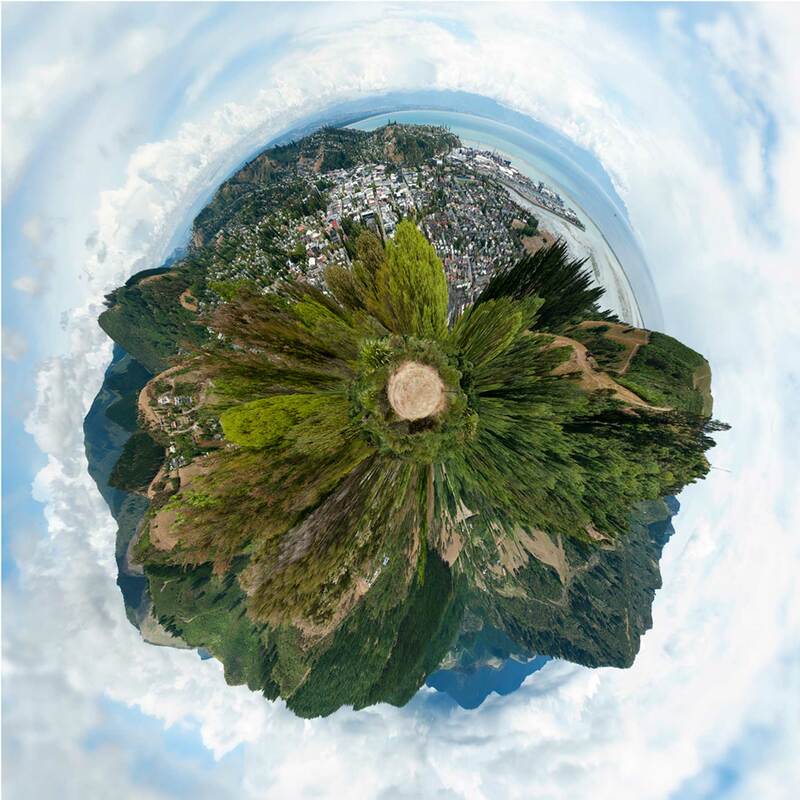 As luck would have it, the geographic centre point of New Zealand was on a hill afforded an excellent 360 degree view. What are the chances? Panorama? I say yes. Named ‘Baldy’ by the clients I had in mind when I created it, I like that this looks like a flower, and the tiny boat on the harbour. I also love those unmistakable kiwi hills. When printed at 40in x 40in (the printing industry still clings to imperial) it’s Where’s Wally Does EPO.